Thanks so much to Marina, a world traveler, Barcelona football supporter and vegetarian from Catalonia who is currently living in Amman. Along with this article, she is facing various topics such as food, cultural differences, and environmental dislikes. Read about her favorites in Amman, things she misses and what you definitively need to know about living in Jordan as a (Spanish) expat. To find out more about Marina you can visit her blog marina-paul.com where she takes the most of each of more 30 countries traveled. Thanks a lot for this great guest post! Also, see the other guest posts in this series. The concept of friendship: One of the things I liked and surprised me the most is the concept of friendship among Jordanians. It truly made me realize how we lack it in Europe, where we are all focused on our own paths and careers. The “jameih” is probably one of the practices that shocked me the most. When talking to a very good Jordanian friend of mine, he introduced it to me. The “jameih” is a very common activity between Jordanians that allow groups of friends to open a common bank account. Each of the “participants” must deposit the same amount of money every month. That will allow them to withdraw it in case of emergency and replace it back afterward. This practice allows “jameih members” to cover big expenses such as medical treatments, bureaucracy paperwork, etc. avoiding loan fees and just taking it from a friends’ common pot! Gastronomy: Gastronomy in Jordan might not be the most varied one, but it is truly delicious. Through years and centuries, they have been able to preserve the same recipes and use the same ingredients. “Sitti” is the Arabic word for “grandmother”, the one in charge of conserving the heritage and teach recipes to future generations. Being a vegetarian like me has not always been easy in Jordan. I can’t remember how many times they have asked me “Do you eat chicken?”. For Jordanians is not easy to access to fresh fish, being rather too expensive or imported from other neighboring countries. This said, their diet is based on “dipping dishes” such as hummus, fetah, muttabal, etc. rice and chicken (not considered meat for the most of them, since it’s not red-meat). Safety: One of the things that concerned me the most when traveling to Jordan was its safety. Would it be safe for a solo female traveler? Would I be able to meet both man and woman as a western expat? How did ISIS terrorism affect its safety? Fortunately, I was able to answer all those questions within the very first week of my stay in Amman. Walking around, both during the day or at night can be considered very safe. I’m a very independent walker if this word exists, and I love to get lost around its winding streets. This said I did never felt unsafe in Amman or Jordan. Regarding my biggest concern, ISIS, its activities and bases are nonexistent in Jordan and all its inhabitants manifest its opinion against such terrorism and violent activity. Multicultural society: Another thing I really liked about Jordan is its multicultural society. Due to unfortunate events and wars, many Iraqis, Syrians, Egyptians, Palestinians, etc. crossed borders and head to a safe and stable country like Jordan. Regardless all inconveniences that it might have caused the first sight, the appearance of new restaurants with exotics flavors never presented before, as well as new languages and traditional dances, ways to work and communicate, etc. gave Amman an immaterial value not appreciated by some of its inhabitants. Smoking indoors: Since 2006, smoking indoors in Spain is not allowed. This law made a huge difference for those like me who are not smokers. Enjoying a coffee while not being surrounded by a strong cigarette smell and smoke is such a pleasure that we consider normal in Spain, but it feels a luxury when in Jordan. Jordan might gather the most amount of smoker-inhabitants in the world and this makes it uncomfortable for those like me who just want to enjoy some relaxing time indoors (specially in a cold or rainy day). Nonexistent recycling: I consider myself as an “environmental friendly” person and it truly upset me when I realized about the Jordanian lack of the recycling culture. For those like me, who are used to separate/classify every single little piece of trash, in Amman is impossible to place it in different bins. There are not recycling containers in the city. After a few months, I kind of gave up and started mixing all waste I generated at home. It was then when I realized how much garbage we produce DAILY! I live in Arjan, in a family and calm neighborhood where 7 containers are emptied every morning just in a little crossroads in front of my house. Can you imagine how much waste the city of Amman creates every day? And how much this affects the city pollution and world climate change? Lack of inner-city public transport: This might be the thing that surprised me the most. In a city with many hills where everything is so far away and distances are huge, the lack of public transport caught my attention. The most similar thing I can think of when referring to “public transport” is the so-called “services”. Although they are very fast, comfortable and convenient, it is sometimes not easy to know their stops and routes. Honking the horn, no matter what time of the day: I’ve been living in Jordan for 6 months and I haven’t get used to “car’s horn noise” yet. Sometimes are cabs looking for clients, sometimes are just locals trying to catch “a western girl” attention… nevertheless, it is very overwhelming and stressful to hear them at any time of the day. Safari at the Shawmari Reserve: Unknown by most of the locals and visitors, the RSCN organizes day trips to the Shawmari Reserve which include a stop at Azraq Wetlands Reserve and a buffet lunch. Shawmari Reserve is a unique place where to get into a super safari jeep tour and spot Onyx. Shoman Foundation: The Shoman Foundation provides cultural activities targeting all society segments and cultural expressions. All the events are announced on Facebook and they are usually attendance free. The most common ones are thematic screen sessions. Salt: Salt is one of the most beautiful villages in Jordan yet missed by most of the tourist who decides to visit Jordan. Its steep and colorful streets, as well as its well-preserved buildings, make it the most picturesque city in Jordan. Wild Jordan: Probably the best café in town (but not the cheapest one). 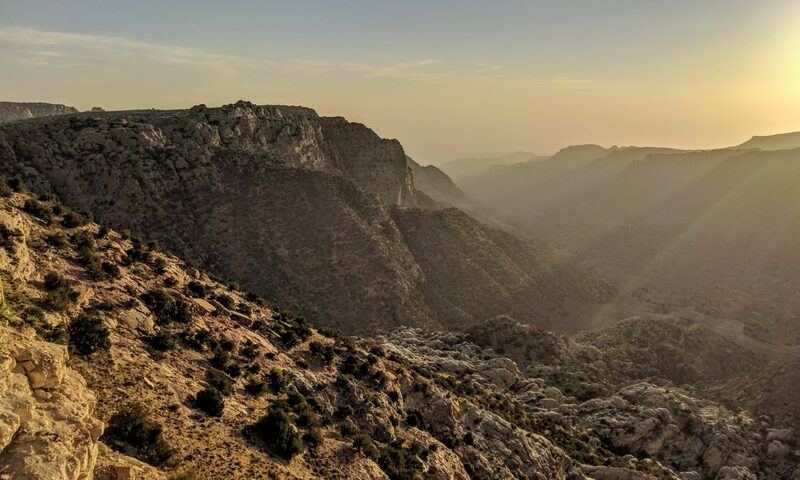 Feel free to bring your laptop and make Wild Jordan your office for a day thanks to its breath-taking views and good Internet. Salsa night’s at Trader’s Vic (Regency Hotel): As a good Latin girl J the best place to hang out during weekend nights, they also organize salsa nights every Wednesday, is the “Trader’s Vic” Regency Hotel bar to practice your salsa movements. The entrance fee is 10jd. However, they sometimes open public facebook events where to sign up and get your free entrance before 10pm. If you liked this article, please also see the other posts in this series. Thanks a lot to Marina! These are such wonderful posts! 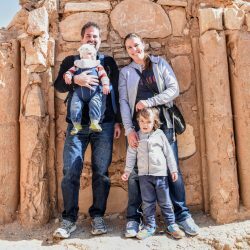 I am an expat (foreign service), and my husband and I will be moving to Jordan in September. I am a stranger to the Middle East, but I am very much looking forward to being immersed for four years! Hope to see you around! i love your post. I came to Jordan 11 years ago and i wouldnt write a better post. thanks a lot for the respect you use to talk about Jordan and jordanians.